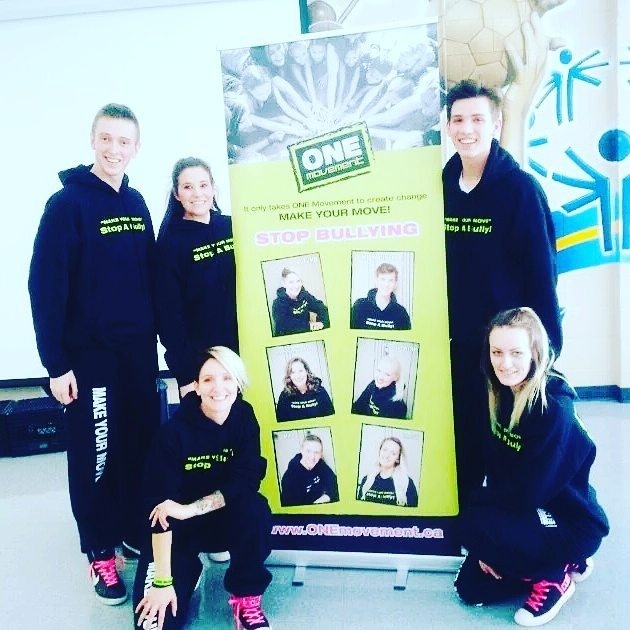 ONE Movement is a professional dance company. We educate, empower and inspire students through the art of dance to make their move to stop bullying. "it only takes ONE movement to create change." ONE Movement's Elementary and Secondary School presentations have been designed to expose students to the art of dance and educate about Bullying, Self Esteem, Asking for Help, Assertive Behaviour, Mental Health, Teen Depression and Teen Suicide. Each dance piece throughout the presentation tells a story using ballet, hip hop, contemporary and jazz dance, along with honest motivational speaking and entire audience participation students learn the ONE movement they can do to create change in their school! Book a Presentation for your School! ONE Movement in the Media!